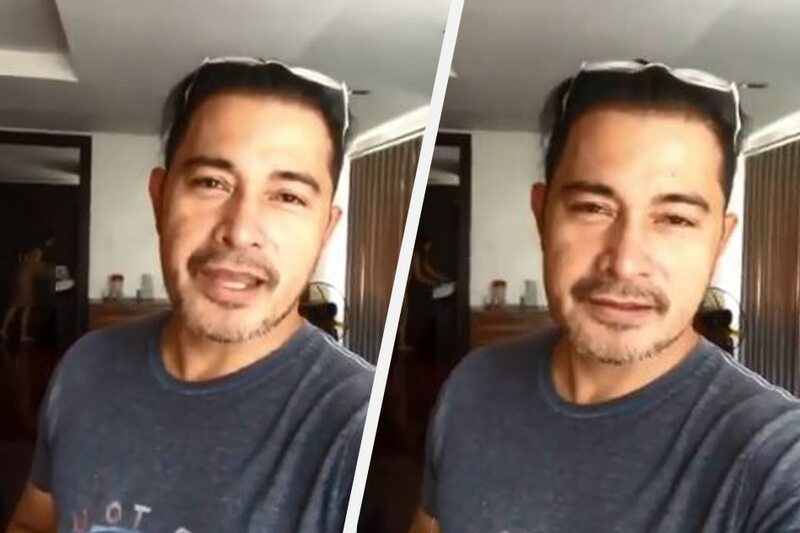 Cesar Montano appears to be unaware of his background, supposedly including a naked figure, in the viral video that made the rounds last week. Following a viral video greeting that drew controversy — and spawned countless spoofs on social media — Cesar Montano doesn’t appear fazed by accommodating further requests for a recorded shoutout. This time, the screen veteran he even managed to make light of the recent gaffe, which saw an apparently naked woman in the background of his birthday greeting to a barangay official in Sta. Ana, Manila. His new greeting was for news anchor Arnold Clavio, who uploaded the clip on his Instagram page over the weekend. Prior to that self-aware greeting, Montano addressed the controversy surrounding the viral video through a statement on the Philippine Daily Inquirer. While he explained that the unintended appearance was due to his background being less of a concern in granting “thousands of requests” for video greetings, he stopped short of confirming the woman’s identity.